Style and security is important in any jewelry design and spring rings are the simplest way to ensure both. Perhaps the most versatile clasp of all, spring rings work well on all types of designs. Spring operated rings open and close smoothly and can be used to engage tags or jump and split rings for sturdy, attractive connections. These spring rings come in a variety of sizes and finishes, so shop today. Complete designs with this spring ring clasp. This spring ring features a simple design with a circular shape and a secure spring clasping mechanism. This makes a wonderful finishing touch for both necklaces and bracelets. The attached open ring makes it easy to add to designs. This spring clasp is bold in size, so you can use it to finish bold necklaces or chunky bracelet styles. Stainless steel is a durable design option and perfect for everyday wear. The versatile silver shine will also work with a variety of color palettes. This item is nickel-free and lead-safe. Give your designs a finishing touch with this sterling silver spring ring. Spring rings are the simplest way to finish your jewelry and they ensure that your bracelets and necklaces will stay secure. The versatile silver shine of this essential component is perfect for any style and will complement every color palette. Use this spring ring with other sterling silver components for a truly polished look. Finish designs with the sterling silver 5.5mm lightweight spring ring with flat open ring. This simple spring ring is circular in shape with a trigger mechanism to open the clasp. This clasp is sure to keep your designs secure while staying stylish. A flat, open loop is attached to the ring, so you can easily add it to designs. The small, lightweight design makes it great for incorporating into delicate looks. The versatile silver shine will work with any color palette. Sterling silver spring rings are a staple item in every jewelry maker's bead box. This spring ring features a simple design with a circular shape and a secure spring clasping mechanism. This makes a wonderful finishing touch for both necklaces and bracelets. The closed loop attach makes it easy to add to designs. This spring ring clasp features a versatile size, so stack up and keep this supply on hand for multiple projects. 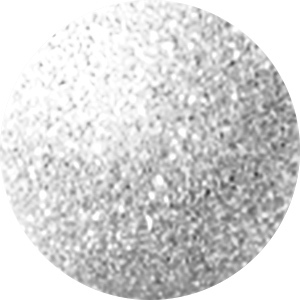 The brilliant silver shine will complement many different color palettes. Complete multiple designs with the sterling silver 5mm spring ring closed loop bulk pack. Sterling silver spring rings are a staple item in every jewelry maker's bead box. Their simple design is sure to work with any project. These spring rings feature a small yet versatile 5mm size, making them excellent for use in dainty necklaces and bracelets. The closed loop attached to the side makes for a sturdy connection point. This bulk pack includes 50 spring rings. Complete your looks with this spring ring from Beadalon. This lovely little closure will add a secure finish to any design. With an open loop attached to the outside of the ring, it's easy to add this component to designs. Try it as a clasp on bracelets or necklaces. It features a brilliant silver gleam that will look great with any color palette you pair it with. If you need to finish designs in style, try the sterling silver 6mm spring ring closed loop bulk pack. Sterling silver spring rings are a staple item in every jewelry maker's bead box. Their simple design is sure to work with any project. These spring rings are versatile in size, so you can use them to complete necklaces or bracelets. The closed loop attached to the side makes for a sturdy connection point. Best of all, the silver shine will work with any color palette. This bulk pack includes 30 spring rings. Add secure and stylish elements to designs with the sterling silver 5mm spring ring closed loop bulk pack. Sterling silver spring rings are a staple item in every jewelry maker's bead box. Their simple design is sure to work with any project. These spring rings feature a small yet versatile 5mm size, making them excellent for use in dainty necklaces and bracelets. The closed loop attached to the side makes for a sturdy connection point. This bulk pack includes 100 spring rings. When you're looking for ways to secure designs, look to the sterling silver 6mm spring ring closed loop bulk pack. Sterling silver spring rings are a staple item in every jewelry maker's bead box. Their simple design is sure to work with any project. These spring rings are versatile in size, so you can use them to complete necklaces or bracelets. The closed loop attached to the side makes for a sturdy connection point. Best of all, the silver shine will work with any color palette. This bulk pack includes 60 spring rings. Try this Beadalon spring ring in your designs for a simple yet secure finishing touch. This lovely little closure will add a secure finish to any design. With an open loop attached to the outside of the ring, it's easy to add this component to designs. Try it as a clasp on bracelets or necklaces. It features a striking silver shine that will add beauty to any color palette. Add a secure finishing touch to your jewelry designs with this spring ring from Beadalon. This lovely little closure will add a secure finish to any design. With a loop attached to the outside of the ring, it's easy to add this component to designs. Try it as a clasp on bracelets or necklaces. It features a versatile silver shine that will work with any color palette. You can use this sterling silver spring ring floater clasp with just about any size of nylon-coated jewelry wire. It can also be used with beading chain. Simply crimp it onto the ends of your wire with flat pliers, not a crimping tool. This is a wonderful way to finish your delicate jewelry strands and the spring ring provides a secure closure. The brilliant silver shine will work with any color palette you may have in mind. Complete designs in style with this gold-filled spring ring. This lovely little closure will add a secure finish to any design. With an open loop attached to the outside of the ring, it's easy to add this component to designs. Try it as a clasp on bracelets or necklaces. It displays a regal golden shine that would work well with classic color palettes. Give your designs a finishing touch of gold with this 14K/20 gold-filled 5.5mm spring ring. Spring rings are the simplest way to finish your gold jewelry and they ensure that your bracelets and necklaces will stay secure. The rich golden shine of this essential component is perfect for any elegant design and will complement every color palette. Use this spring ring with other gold-filled components for a truly sophisticated look. Give your designs a finishing touch of gold with this 14K/20 gold-filled 5mm spring ring. Spring rings are the simplest way to finish your gold jewelry and they ensure that your bracelets and necklaces will stay secure. The rich golden shine of this essential component is perfect for any elegant design and will complement every color palette. Use this spring ring with other gold-filled components for a truly polished look. Pair it with regal colors for unforgettable elegance. Complete jewelry designs with this stylish sterling silver spring ring. This bold spring ring features a sturdy design that will give your looks a secure finishing touch. Use it to finish necklaces and bracelets. A figure eight connector ring is attached between two ridges in the design. This connector will stay in place between the ridges and is great for connecting your clasp to designs. Another figure eight connector is connected to the body of the clasp. Use this ring to hook and unhook your clasp to the other end of your design.